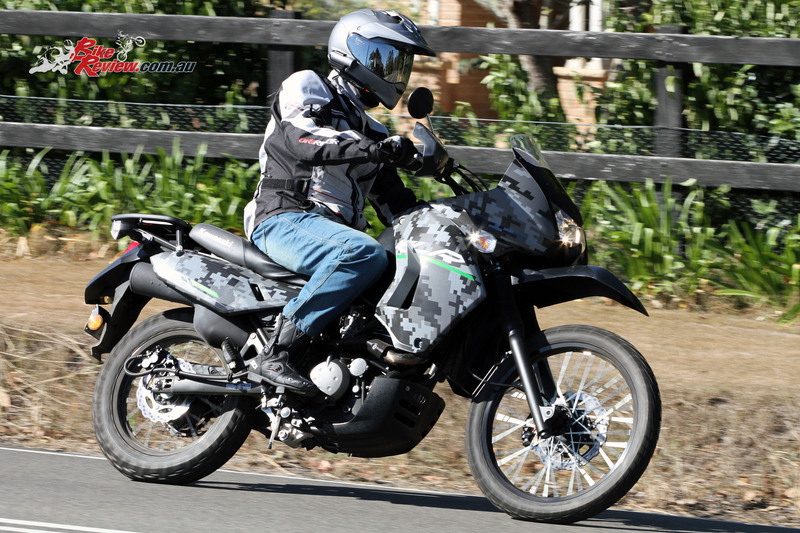 The KLR650 is a great value all-rounder. 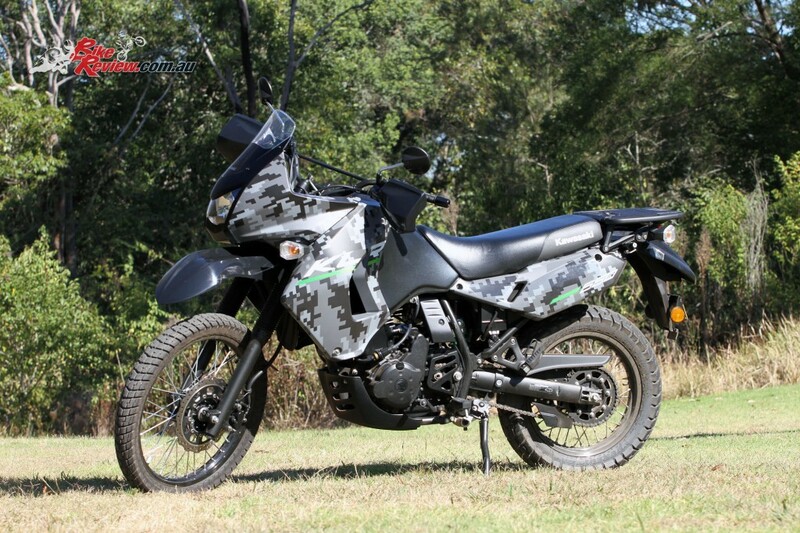 Here is our Kawasaki KLR650 review. Test by Jeff Ware Photography by Kris Hodgson. 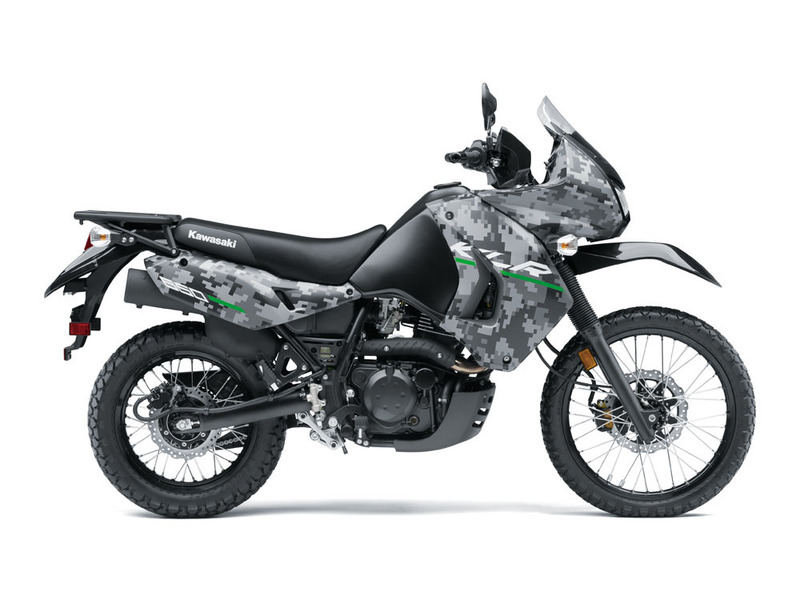 If you are in the market for a true all-round motorcycle and you need to stick to a budget under ten grand, you need to test ride a KLR650. 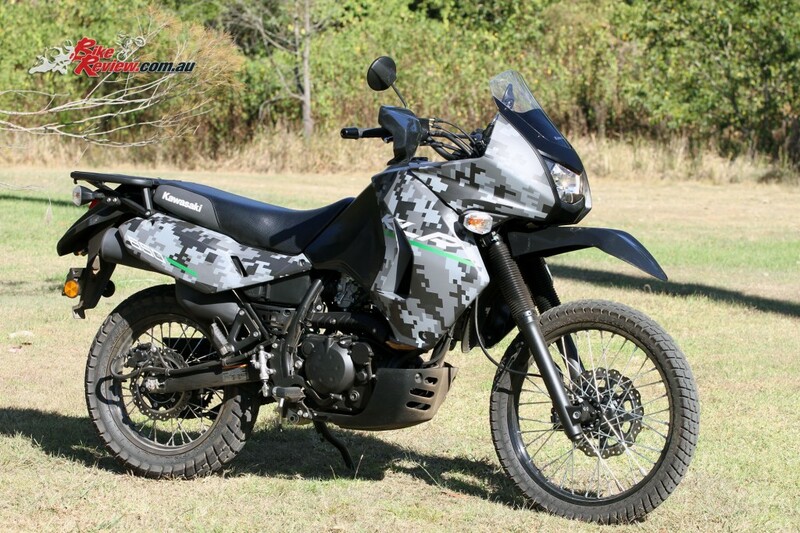 At $8099 + ORC the KLR is a bargain. 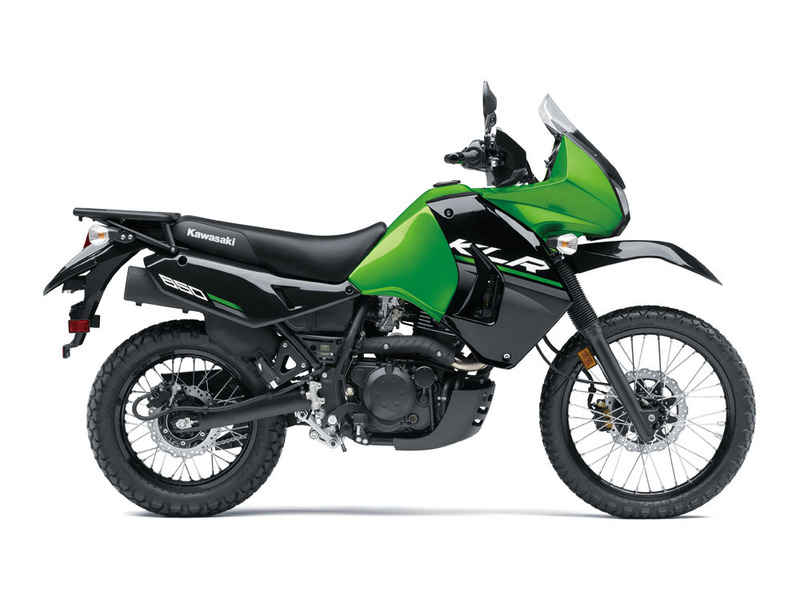 What you get for that outlay is a true legend – the mighty KLR has been around for close to 30-years in 650cc form, with the KLR600 first appearing way back in 1984. 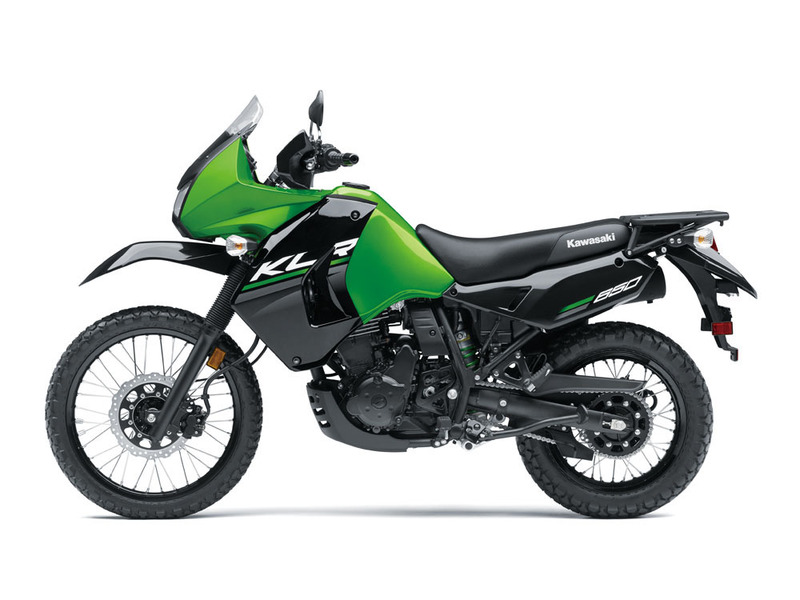 The big KLR has proved to be one of Kawasaki’s most successful motorcycles ever, with strong sales year on year. 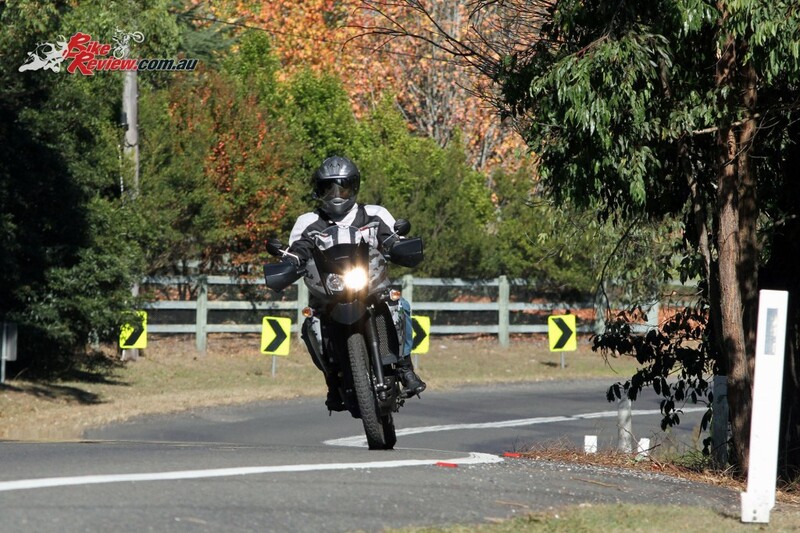 What that tells me is clear, that motorcycling in its most fundamental form on a basic trusty bike is one of the most rewarding forms of motorcycling, and I’m clearly not alone. 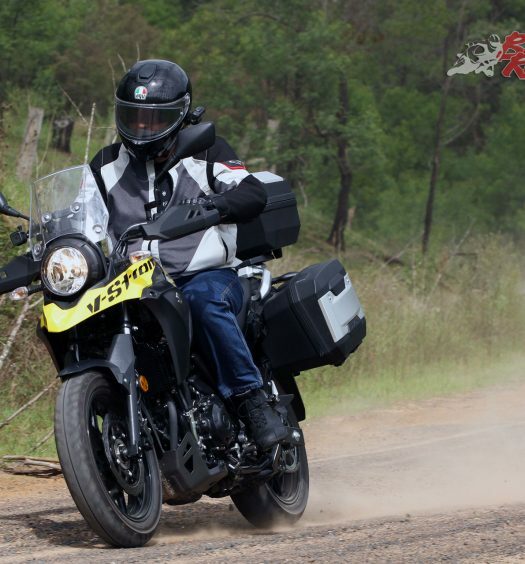 The KLR650 also has a cult like following with owners groups and forums all over the world. 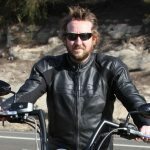 It’s well priced, basic and lends itself almost limitlessly to modification and customisation, giving owners a unique bike to live with and, I’d bet, ride daily. This machine is a commuter, adventurer, trailblazer, road tourer and this model is also LAMS approved. It just doesn’t get any better! For people like me, in their early 40s and with four kids to feed, bike spending is bottom of the list for now. 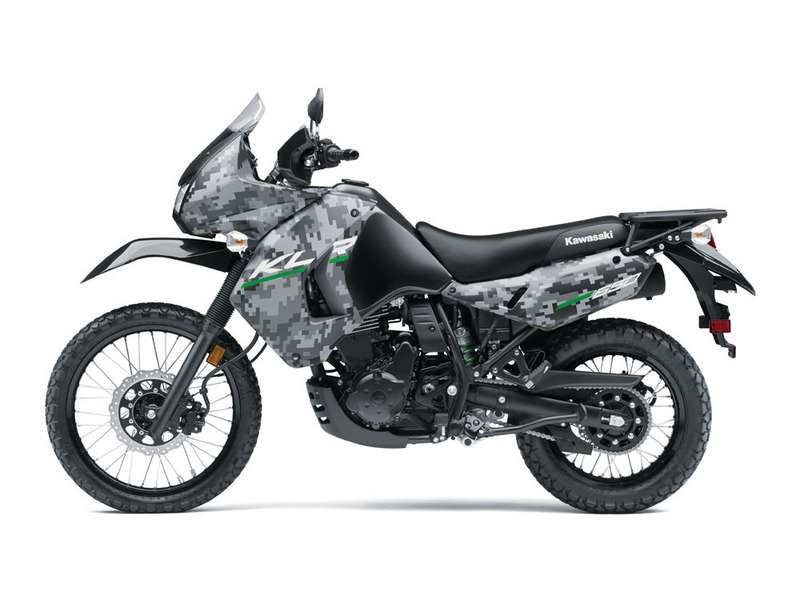 That means if I had to pick one bike and one only – it’d be something like a KLR650, which I could do everything on. A proper Universal Japanese Motorcycle. 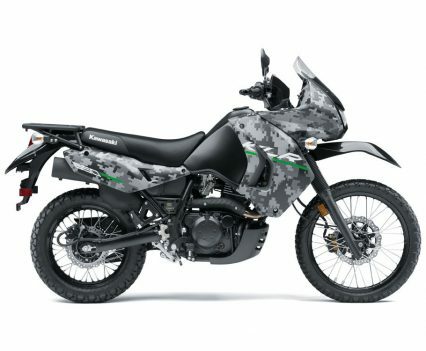 So what is the KLR650 made of? 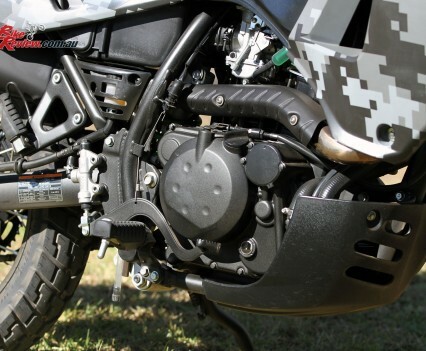 First of all it is powered by a liquid-cooled 651cc four-valve single-cylinder DOHC four-stroke engine with a five-speed wide ratio gearbox. The engine is fed by a 40mm CV carburettor (remember those things?) and has a transistor ignition, as well as electric start. The engine puts out, wait for it, 20hp@4500rpm and 40Nm@3000rpm in LAMS form. 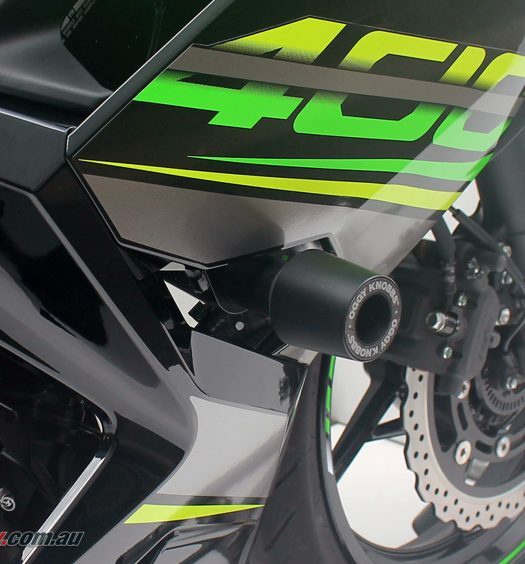 In unrestricted form in the USA and Canada the bike is 44hp and 50Nm. 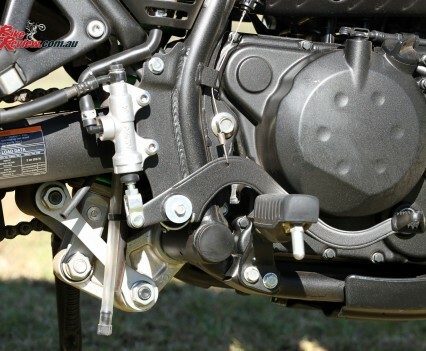 The frame is a semi double-cradle, high tensile steel item that features 41mm conventional leading axle forks that are non adjustable and a Uni-Trak rear end with five-way preload adjustment. 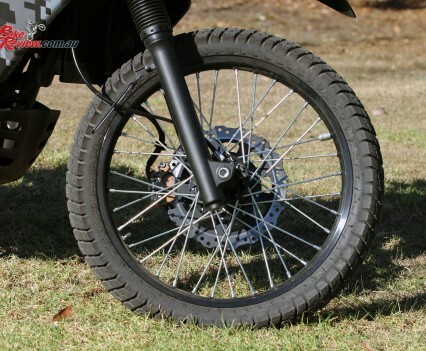 There is 200mm of travel available at the front and 185mm at the rear, for those off road stinks, and the front wheel is a nice big 21in spoked item with a 90/90-21 tyre. 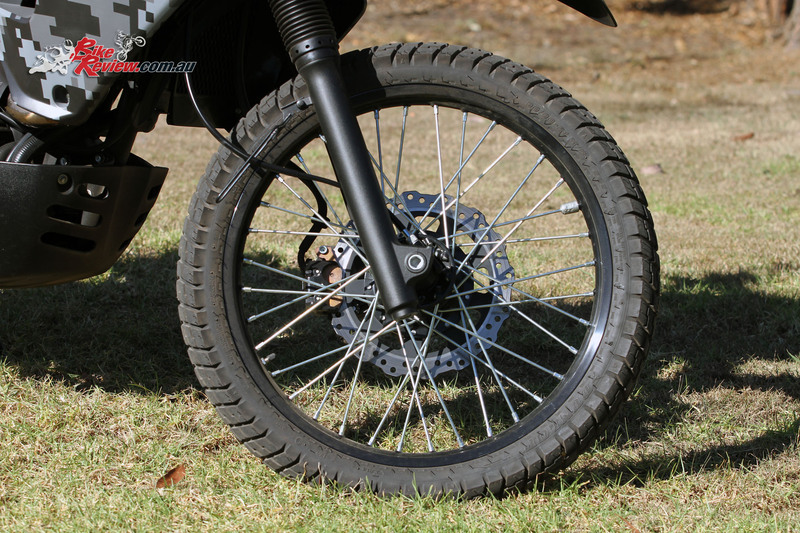 The back wheel is a spoked 17in with a 130/80-17 road trail tyre, swinging off an alloy swingarm. The rake angle is a last 28º and there is a whopping 112mm of trail. 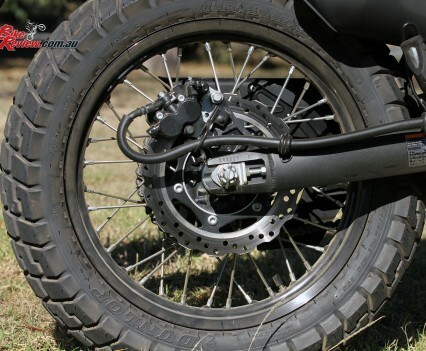 Stopping power is basic but enough – a 280mm rotor and twin-piston caliper up front and a 240mm rotor with a twin-piston caliper at the back of the machine. 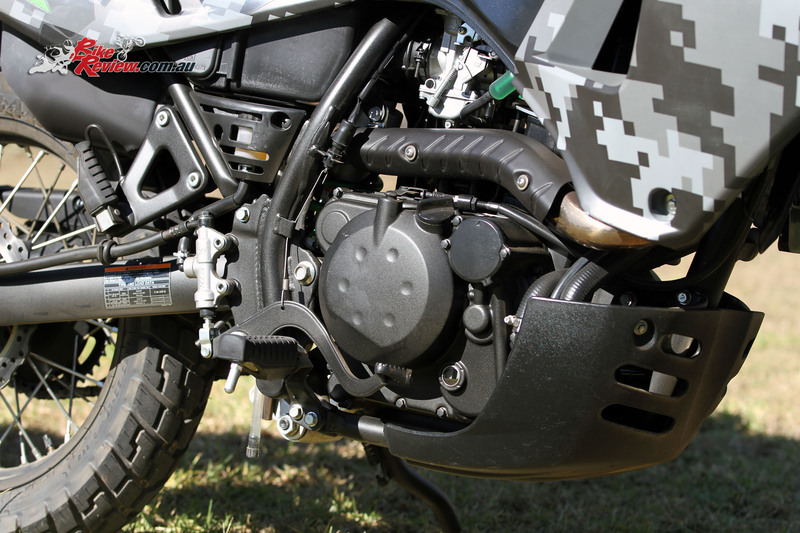 There is a whopping 22L tank on the KLR650, which is brilliant, and the 890mm seat height makes the bike manageable when that tank is full. 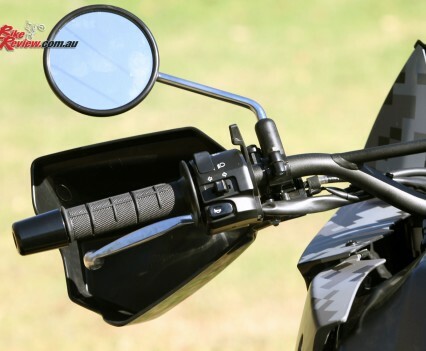 There is also a huge rear rack, massive comfy seat for rider and pillion, a big screen and fairing for protection from the weather, hand guards, fork gators and a powerful twin bulb headlight. 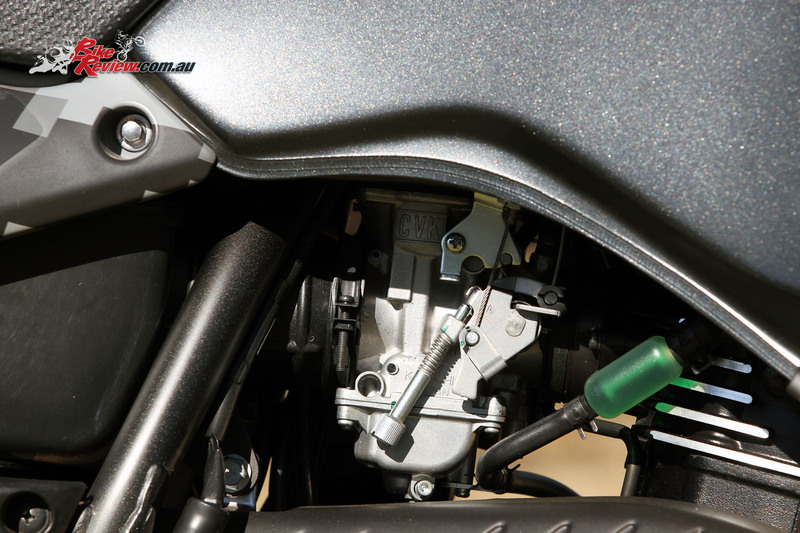 The alternator is also a high output unit, so heated grips, spotlights and other accessories can be fitted up too. The basic dash is a gem and I love how easy it is to read it. 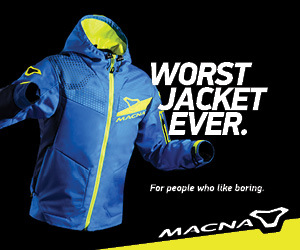 It features analogue speedo and tacho, water temp, odo and trip. That’s it and it’s easy to read too. 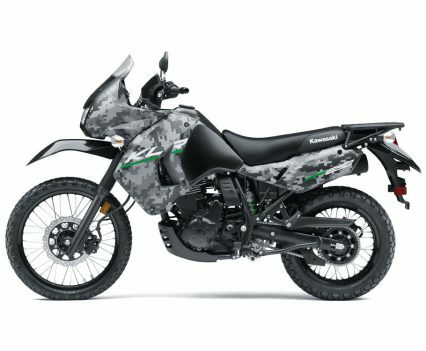 I lived with the KLR650 for two weeks and loved the bike. 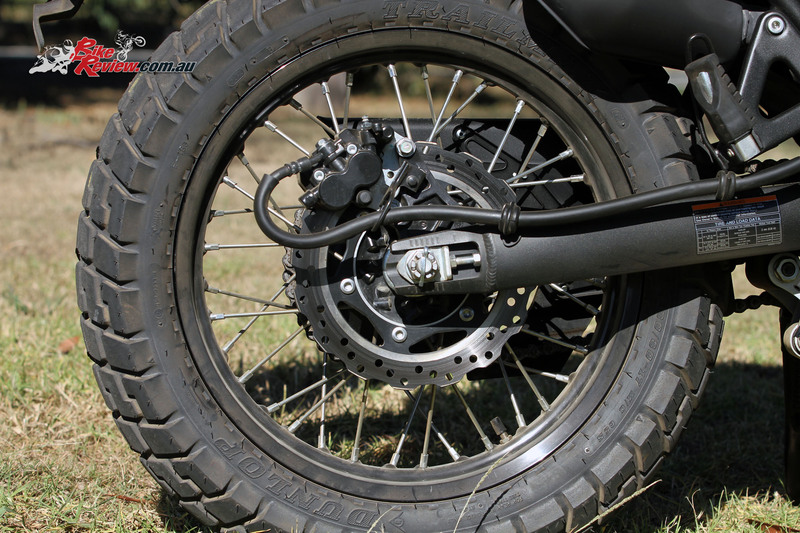 The lazy torque and power of the big single is so easy to live with and the comfort of the KLR is fantastic. Honestly, you can ride this bike all day long. It’s all too easy to live with. 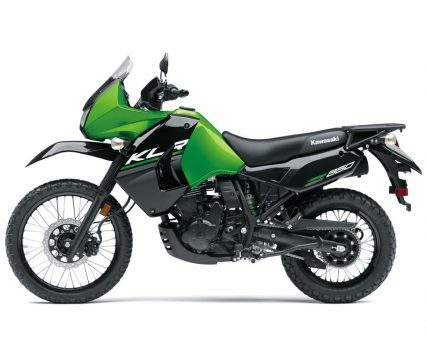 Being a basic bike and an all-rounder of course means the KLR doesn’t excel in any particular area, more that it is competent in many areas. On the road it is smooth, vibe free and stable. 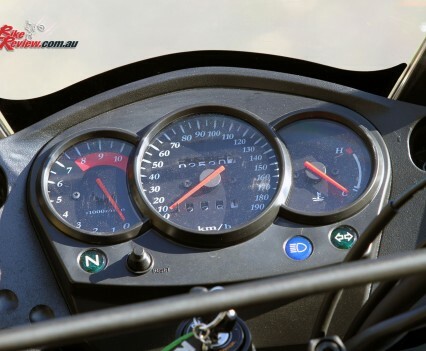 The power is plenty for the bike, even in restricted mode, there is enough torque to plod along at a good pace and plenty on tap for passing trucks and cars on the open road. 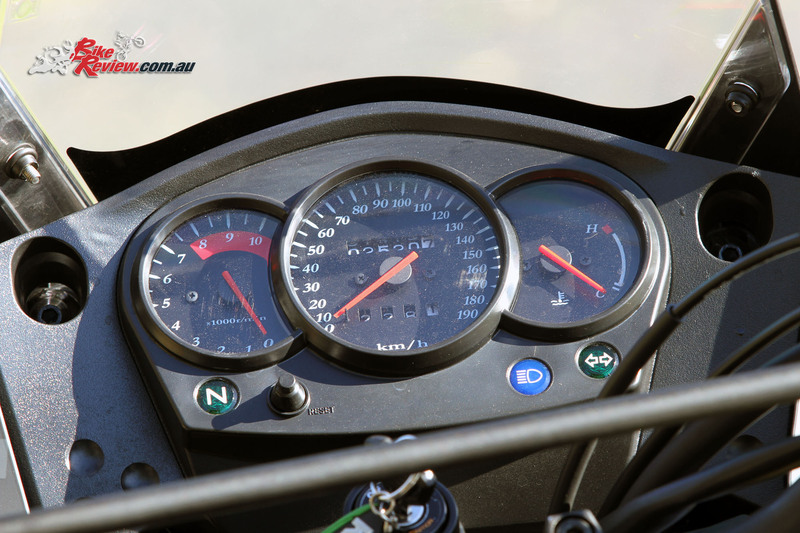 On the freeway the bike easily sits on 110km/h with plenty in reserve. 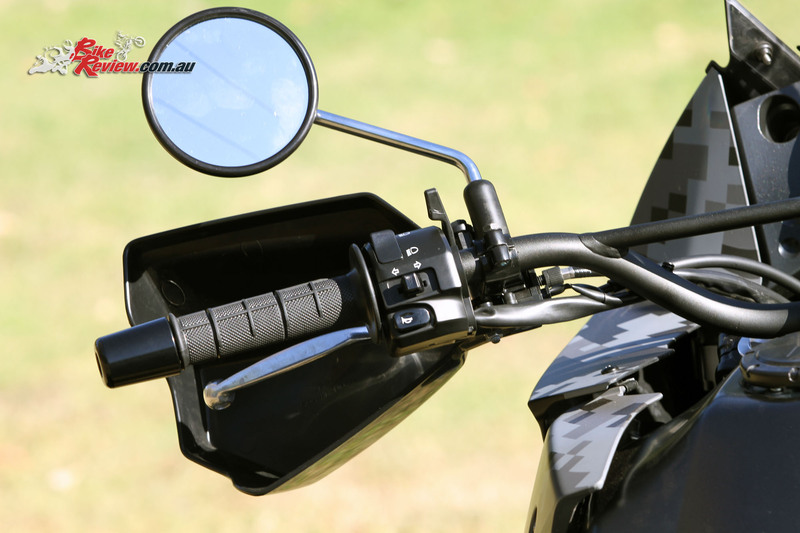 The engine is a gem and it’s a matter of pick a gear, any gear, and open that throttle smoothly and off you go. 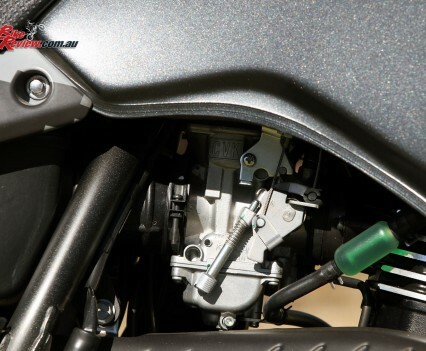 The five speed gearbox has good wide ratios suited to the KLR and final gearing, although tall, is pretty spot on for an overall set-up. 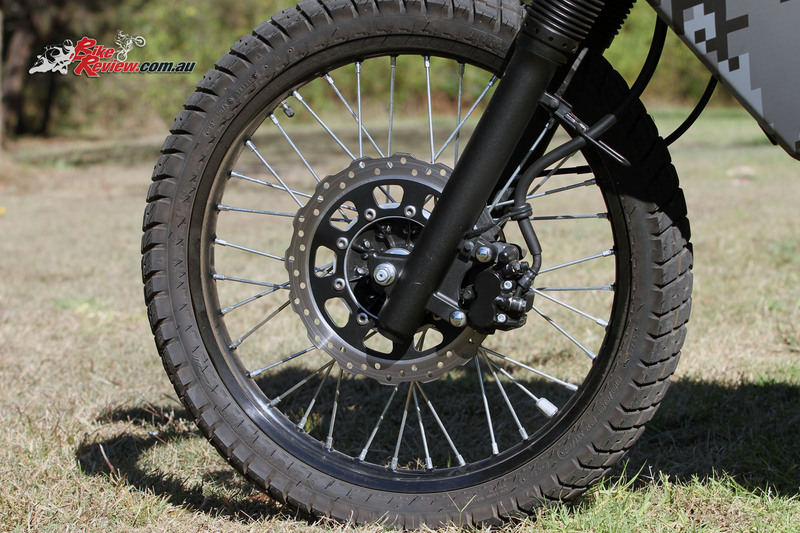 The brakes are OK but not brilliant, however, with no ABS I think they are a good set-up for the bike, with soft initial bite and requiring a good squeeze to pull up harder. 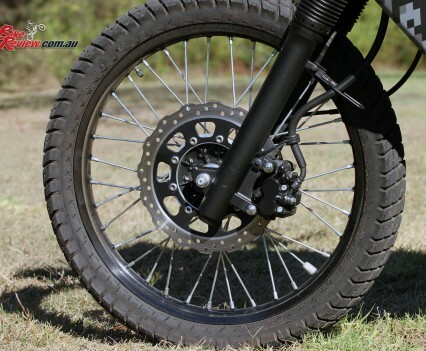 The rear brake is much the same but good for helping cornering control and balance. On the road the suspension is soft and there is not a lot of damping control in the rear but riding the bike smoothly and with a bit of finesse when opening the throttle or grabbing the brakes keeps the big thumper balanced and there is reasonable grip from the Dunlop Trailmax tyres but edge grip is a little squirmy and I had a few front-end tucks, one ripper that I caught on video! 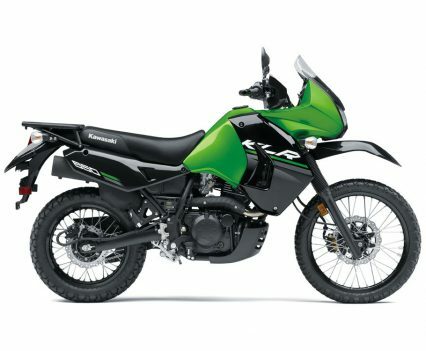 The KLR loves bumpy country roads where you truly don’t feel a bump – which can really make a ride a lot more enjoyable. 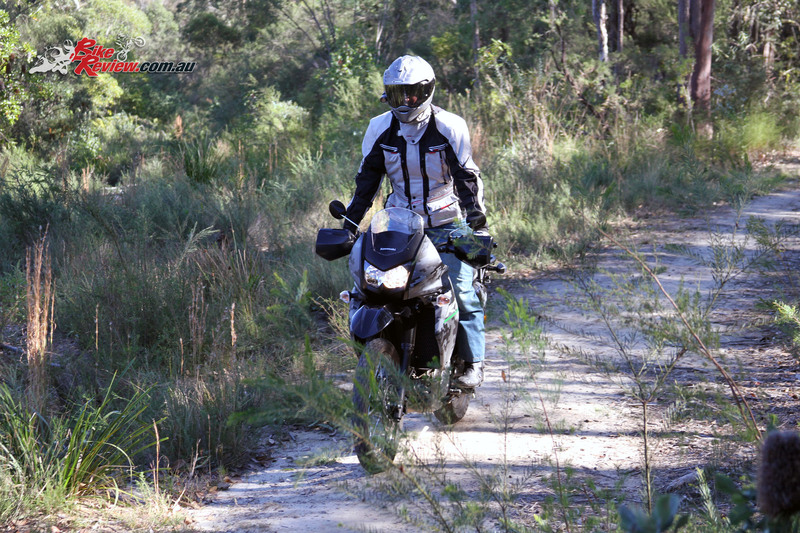 I had a fantastic day on the KLR riding out to a town called Wollombi in the Hunter Valley, NSW, then taking in some dirt to a place called St Albans before heading back along a road called Wisemans Ferry Road. It was a great loop on a bike that encourages the rider to relax and take in the scenery. Off road the KLR is good for fire trails, dirt roads and even some basic trails. It has good ground clearance and it easy to handle. The Trailmax tyres I found pretty average so if you were going to do more off road than on I’d go for a more aggressive off road tyre. 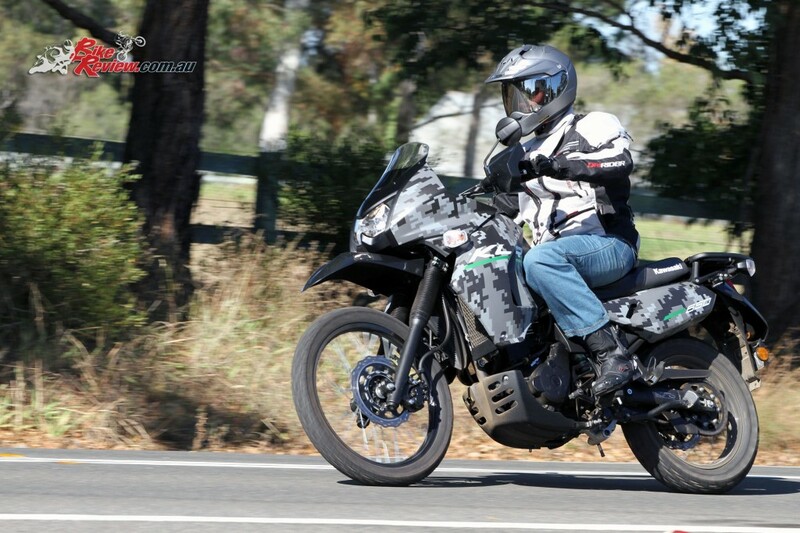 Overall I rate the KLR650 highly and recommend you have a spin on one if you are after a basic, bargain adventure all-rounder. 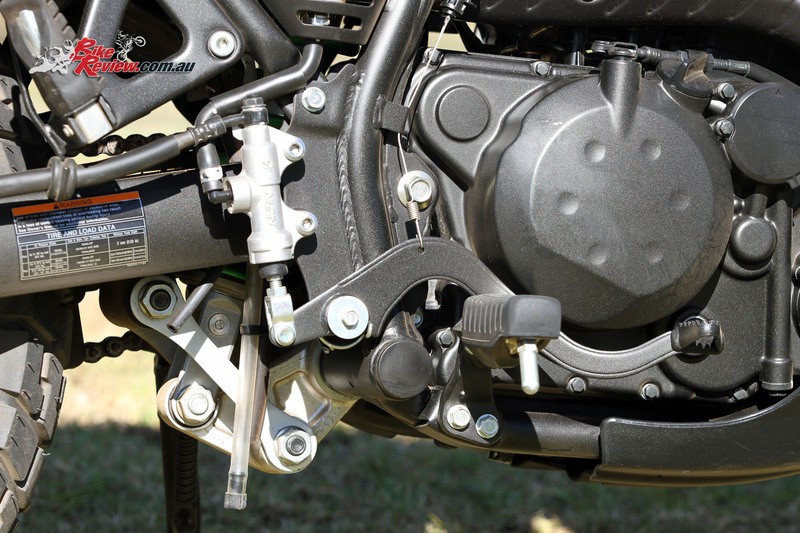 Engine: Liquid-cooled DOHC 651cc four-stroke single-cylinder. Wheels/Tyres: 90/90-21 (f), 130/80-17 (r). Instruments: Analogue speedo, tacho, water temp, odo, trip, warning lights.